Not so long ago (before Nov. 8th, 2016when the world still had hope for a better future.) no one would have ever believed what is happening today within the Whitehouse and our American government could become a reality. 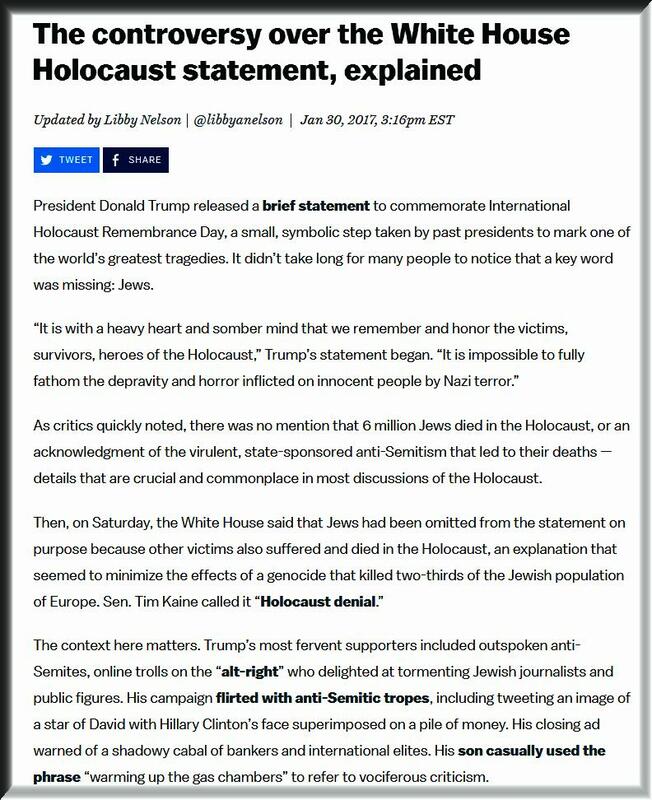 USA as a participant in the Global Family, we are all responsible bystanders if Trump and Bannon get away with what they are out to repeat. President Donald Trump offered to inflict political damage on lawmakers who try to limit civil asset forfeiture, making a joke about a practice that has come under serious criticism in recent years from Democrats and libertarian-minded Republicans. 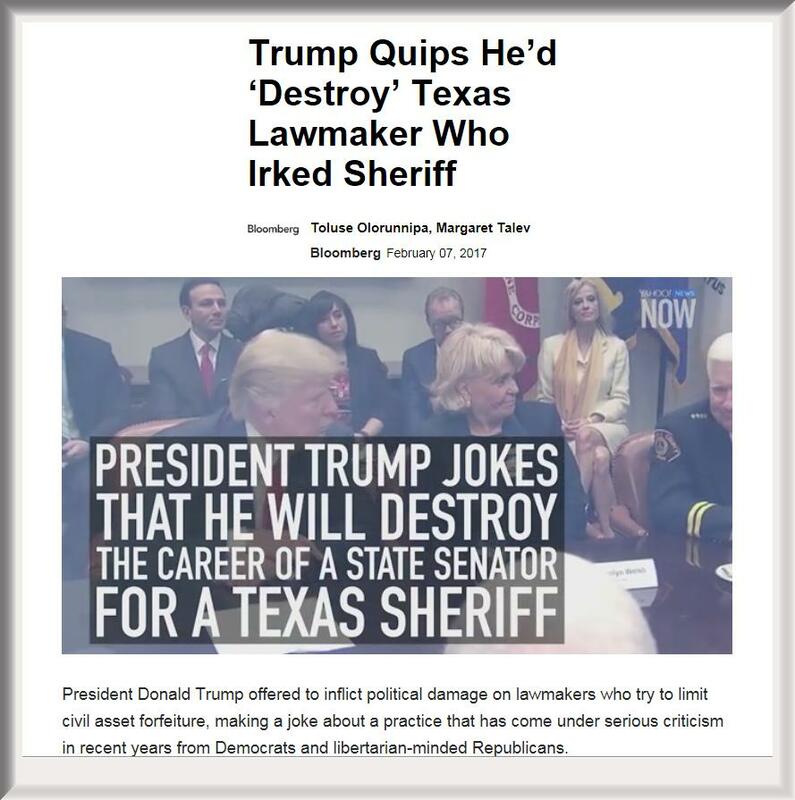 During a meeting at the White House with county sheriffs, Trump said he would destroy the career of a Texas state legislator who had proposed restrictions on seizures of property belonging to suspected criminals. The comment prompted laughter from participants in the meeting. Eavenson declined to name the lawmaker as reporters and camera crews recorded the exchange at a brief photo session during the meeting. The Dallas Morning news reported that Texas state senators Konni Burton , a Republican, and Juan Chuy Hinojosa , a Democrat, have offered legislation to require conviction of a crime to seize a suspects property. Republicans and Democrats in Congress and in state legislatures have recently pushed legislation to rein in the long-standing practice of police seizing the cash and property of suspects who havent been convicted. 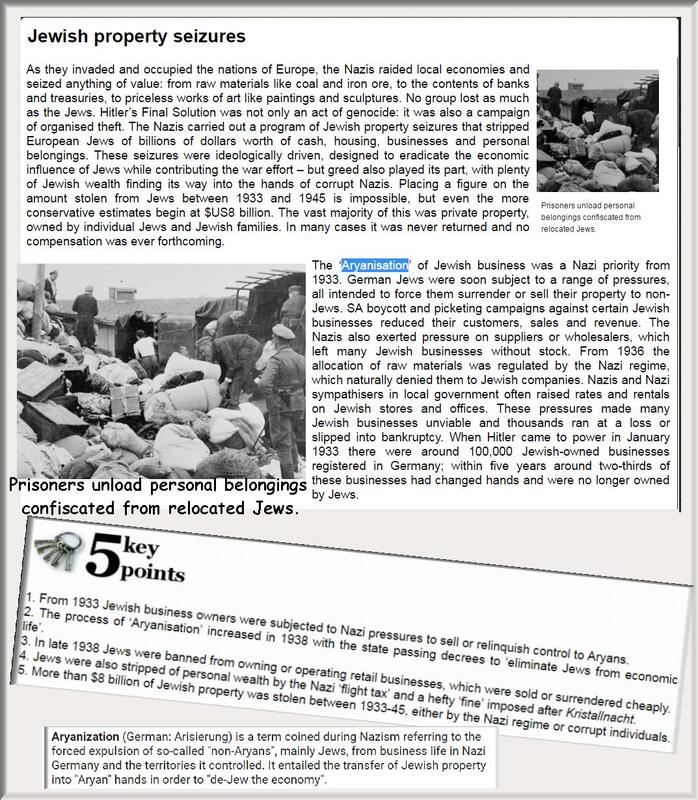 Trump, Bannon Aryanisation isn't new it has happened before!